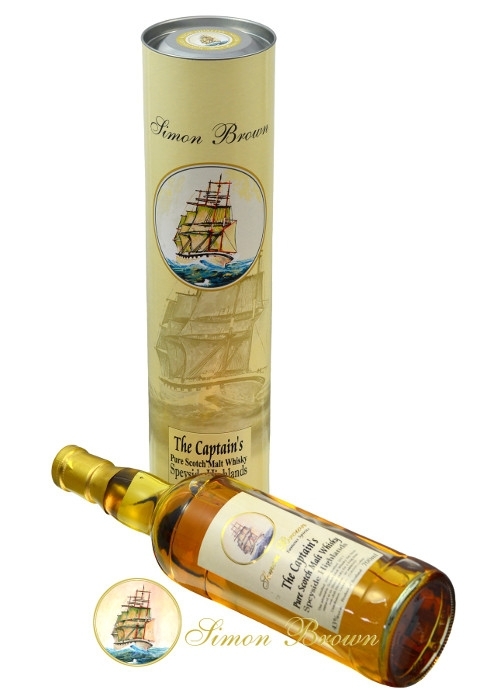 "SB The Captain's Speyside Malt Whisky 09 43% 0,70l"
The Captain's Pure Scotch Speyside Malt Whisky is an interesting composition of two pure malt whiskies of different distilleries from the Speyside region in the Scottish Highlands. 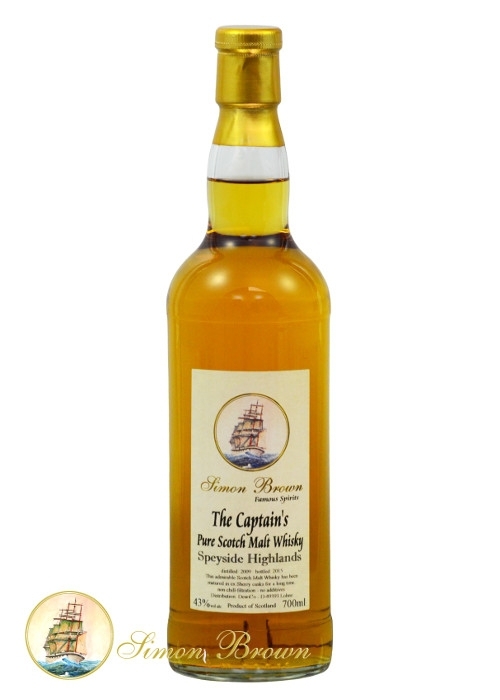 Intensive golden in the glass - pure, delicate fragrance with smooth malty sweetness in the nose, aromas of honey and flowers with a hint of lemon and roasted wood - pleasant, supple and subtle on the palate with aromas of hazelnut an a hint of oak - subtle, prolonged aftertaste. 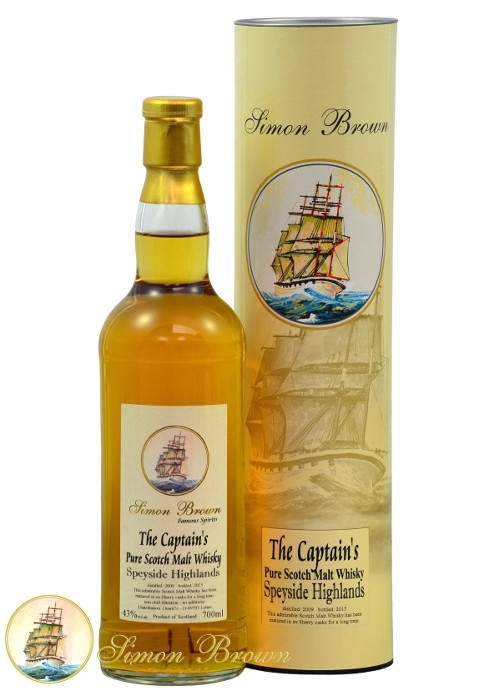 Weiterführende Links zu "SB The Captain's Speyside Malt Whisky 09 43% 0,70l"
Kundenbewertungen für "SB The Captain's Speyside Malt Whisky 09 43% 0,70l"